In recent years Greek religion has emerged as one of the main topics for the study of ancient Greek society as a whole. 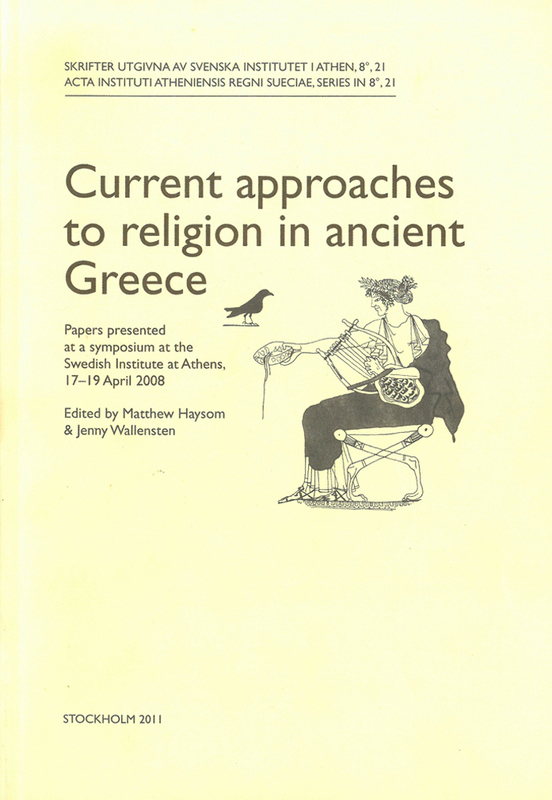 This flourishing interest is certainly due to the recognition of the centrality of religion to Greek culture: religious beliefs and practices were connected to almost every aspect of the Greek world. This volume brings together fourteen contributions from a group of upcoming international scholars, presented at a conference held in the Swedish Institute at Athens and the British School at Athens in 2008. The papers take a wide range of approaches: archaeological, epigraphic, iconographical, philological and historical. They demonstrate the diversity of the subject, covering such issues as nineteenth-century historiography, cult epithets, the pantheon, regionalism, polis religion, the performance of ritual, the use of music in ritual, the accessibility of sacred space, and the visual aspects of dedications. The contributions bring new theoretical perspectives, seek to better understand ritual, and highlight the variety of Greek religion. Jenny Wallensten | Apollo and Artemis. Family ties in Greek dedicatory language? Maria Mili | Apollo Kerdoos. A conniving Apollo in Thessaly? Matthew Haysom & Jenny Wallensten (eds. 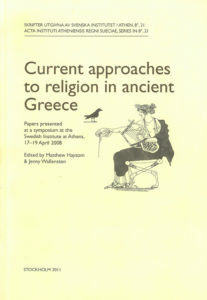 ), Current approaches to religion in ancient Greece. Papers presented at a symposium at the Swedish Institute at Athens, 17–19 April 2008, (Skrifter utgivna av Svenska Institutet i Athen, 8°, 21), Stockholm 2011. ISSN 0081-9921. ISBN 978-91-7916-059-3. Softcover, 312 pages.